Colchester is home to over 104,000 residents and the town and surrounding borough is just over 60 miles from London. 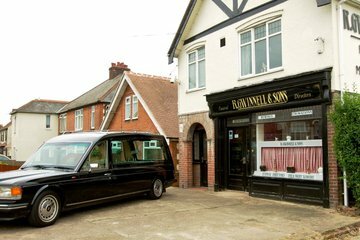 There are around 17 funeral directors in Colchester offering their services to the bereaved. Just over half the of Colchester’s residents identify as Christian, while more than a third have no religious beliefs. Other faiths practiced by local people include Islam, Hinduism, Judaism and Buddhism and many funeral directors in Colchester are likely to be able to accommodate the needs of the bereaved according to faith and custom. Funeral directors in Colchester should also be able to help those seeking to arrange a Humanist funeral. 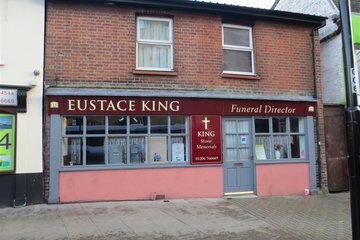 Search for local Colchester funeral directors now to see funeral homes near you. You can filter search results by best rated, most reviewed or nearest to you. Click on a funeral director’s listing to see their profile page, where you can read independent customer reviews, search for recent obituaries, and learn more about the funeral services they can offer to you. 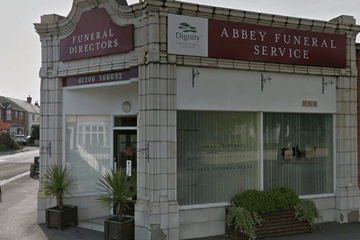 A very professional family run funeral directors. From the time they are asked to look after a loved one then you become part of there family. If there is anything they can do in anyway to make it as easy and respectful as possible they will. From the time when they looked after my bro last year and then to look after my mum from when she past to they day we layed her to rest. Just outstanding professional wonderful people. God bless and thank you to you all. Lee Hearn. From the first meeting to the final day, compassionate, understanding, proactive to our needs and caring. Thank you so much on behalf of all the family. Lee and his staff were extremely supportive from start to finish. very professional and understanding. They took their time in explaining things and listening to what you want and did not try to sell anything that was not needed. They were the only funeral place that did not try to get any money from you before even meeting them . Well done Lee and staff and thankyou .